Pick up a Festival Program at the Information Building as soon as you get on-site site. This contains maps showing camping areas, where you can get drinking water, cook stove tables, First Aid, dispose of recycling & trash, stage & area schedules, and other helpful information. Camping is first-come first-served. Each campsite limited to 2 sleeping units (2 tents OR 1 camper & 1 tent). NO SAVING CAMPSITES. You may allocate space on your own campsite for those who have not yet arrived, but saving separate campsites is not permitted. Handicap camping is first-come first-serve. You must have a handicap placard or license plate to camp in handicap camping. Main-gate volunteers will provide direction to handicap camping areas. 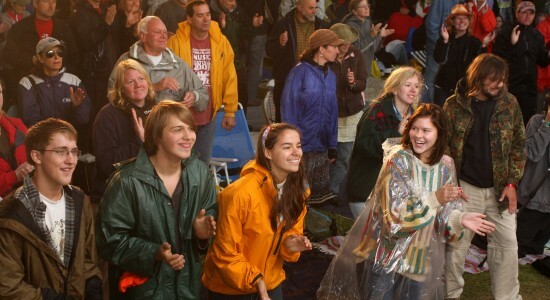 Wheatland is group camping and “Squeeze Please” is always in effect. Wheatland only offers primitive camping. There are no hookups. Areas used as campgrounds are hay fields and woods. No flush toilets. Porta-johns and handicapped-accessible porta-johns are provided. Water is available, please refer to the Festival Grounds Map. Every campground has a Safety Station staffed by ‘Red Shirt’ volunteers. As soon as you camp, be sure to locate your Safety Station so you know where to go if you need any kind of help during the weekend. Each station is equipped with radios to call for First Aid, Security, handicapped transporters, etc. # 1. YOUR TICKET(S). The only day adult/senior tickets are available on-site is on Sunday. #2. The Festival Arrival Traffic Map that is included with your ticket(s). This designates where you can line up when waiting to enter the festival site. #3. 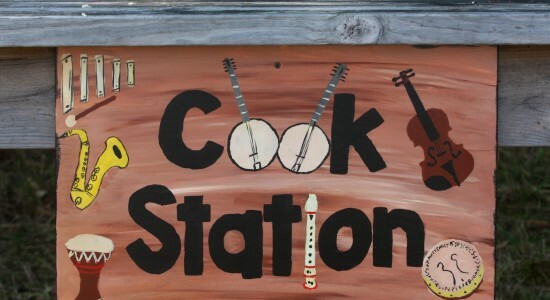 Musical Instruments, Dancing Shoes, and a Good Attitude! Autumn in Michigan is unpredictable so come prepared for warm sunny days, cool nights and possible rain. Pack layers, plenty of warm bedding and rain-gear just in case. Don’t forget a hat, sunscreen and water bottle for those warmer days! First Aid Kit Note: Wheatland has a volunteer staffed First Aid Area and transporters for persons who have difficulty walking. Check map or notify your campground station ‘red shirt’ volunteers if you need assistance. Rain gear, socks, boots, Misc. 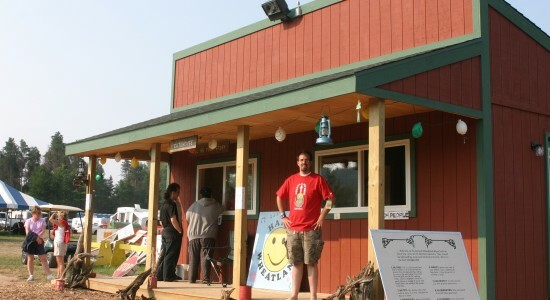 Money for buying food, Wheatland T-shirts and other souvenirs, performer recordings, arts and crafts items from Wheatland vendors. Pre-festival preparation is key! Also, making an effort to be conscientious while at the festival goes a long way, and we are hoping to make that easier for you by providing more trash barrels and an expanded recycling program. Bring re-usable cups, plates, napkins, water bottles, containers, etc. This will cut down on the amount of trash you produce at the festival. Smokers – please dispose of your butts thoughtfully. Try bringing a Pocket Ashtray or an empty Altoid tin and dispose of them properly. Cigarette butts are #1 on the “litter-list” at Wheatland, and are painstaking for our volunteers to clean up. Do your part to help clean up any litter that you see during the festival. Be a model for others. Re-use is the name of the game! Use reusable plates, utensils, cups, water bottles, napkins etc. Secure your campsite belongings well to reduce windblown trash and litter. Keep a tidy camp! Separate your trash into categories for recycling and landfill. Please assist us by using the recycling and garbage bins correctly and keeping your site litter free. After the festival, pack everything you brought with you. Leave the area as nice as – or better than – you found it. Human food is unhealthy for all wildlife and feeding them starts bad habits. Please pack up any leftover food from the weekend or find a compost bucket, located in the Food Vendor area. Keep their home clean by picking up any trash/debris. Establish a clean and green camping community! Collaborate with other nearby campers to share your resources and to work to Leave No Trace in a fun and festive manner! PLEASE: No parking on 50th between M20 and Pierce Road. PLEASE: respect the neighbor’s property and privacy. PLEASE: stay in your vehicles while you are waiting in line. PLEASE: Be patient. We will let you in as soon as possible. With limited ticket sales there is room for everyone. PLEASE: Remember, we are in this together, and we’re here to enjoy the community and festival that is Wheatland. Please review the Festival Arrival Traffic Map that was enclosed with your ticket order. Do not park or line-up on 5oth Ave between Pierce Rd and M-20 AT ANY TIME — This area needs to be clear for emergency vehicles, school buses, and local residents. Child Tickets (12 and under) are available throughout the weekend at the Main Gate. CASH ONLY. Sunday tickets are available starting Sunday of the festival at 8am. Once the gates open on Friday at 10am, we hope to get everyone into the festival site in a timely manner. The West/Exit Gate will be used for festival entry between 10am and 4pm on Friday only – use this gate if you plan to camp in DeDannan, Henrie Brothers, Lost World or Backwoods. Taking 60th Avenue off M-20 to Pierce Road will give you easy access to this gate. Thank you in advance for your patience and cooperation. Early Entry is a privilege awarded for service rendered to WMO. It is not to be abused by volunteers extending the privilege to others. Those who do abuse this privilege will not be afforded the privilege in the future. Volunteers are reminded that they are expected to set a good example for others to follow. Please contact a “Red Shirt” volunteer if you encounter any issues. There are campgrounds nearby to spend the night in the event you are turned away. The Main Gate will be open beginning the Monday before festival at 9:00 a.m. and will be open each day, Monday-Wednesday, from 9am – 9pm, and Thursday at 9am. No entry prior to or after these times. Mon-Wed Early Entry: If you are an Early Entry worker or vendor, your name must have been submitted by your Area Leader to be included on the Monday – Wednesday early entry list. You must have an Early Entry wristband to get in. Thursday Early Entry: Thursday early entry will be done by Early Entry wristband. There will be no list for that day. If you do not have an early entry wristband approved by your crew-leader and mailed to you from the office, you will not be granted early entry. NO EXCEPTIONS. Do not try to get early entrance if you do not receive an Early Entry wristband. 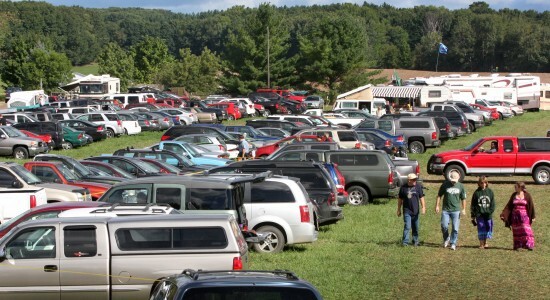 Spouse or significant other must arrive with you in the same vehicle and must have his or her own festival ticket. Children’s tickets can be purchased Wednesday and Thursday at the main gate; cash only. 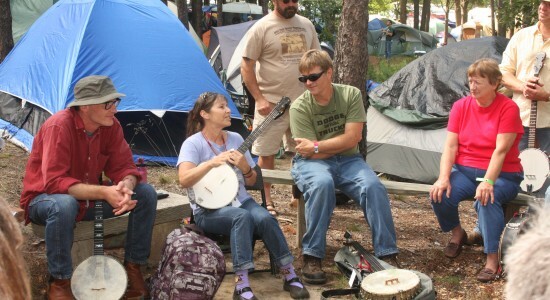 Each Early Entry “family” will receive 1 camping permit, authorizing use of their camp space. 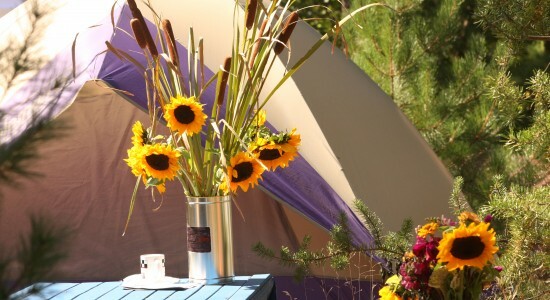 Camp space is limited to 2 sleep units (2 tents OR 1 camper & 1 tent). No “saving” campsites. No Exceptions! Any camp found to be without a camping permit will be taken down. Those who fail to comply will be asked to leave.